So its a chilly Monday night our here in Brixton Town and the queues stretch totally around the block, all hail new Hip Hop singing sensation Post Malone. I’ve known Dre London for over a decade now and am over the moon with his new managerial success, from south London rapper Cerose to New York born singer Post Malone. I was privileged enough to see Post Malone only recently at Birthday’s an intimate venue in Hackney. From the moment Dre came thru, showed love and blessed us with some AAA passes the show was LIIITTT ! A rambunctious crowd of all races and predominantly under age 30, they were very much in a party mood. Having navigated my way through the throng to see the ‘mandem’ back stage, I was met with a very full backstage arena, with radio DJ’s and UK RnB wonder group WSTRN and their manager Morgan Keyz. 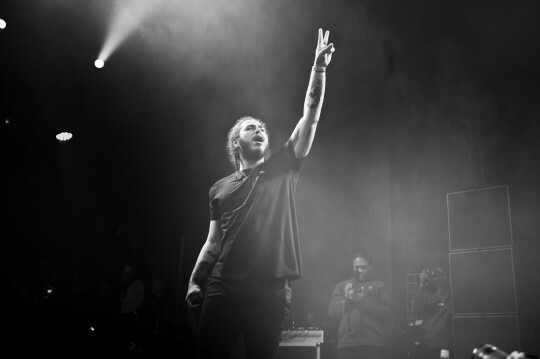 In literally a calendric year Post Malone, his manager Dre and steered by Wendy Goldstein at their Universal Republic record label, has seen the fanbase quadruple. The fans are intensely passionate and Post’s does already embrace stadium oriented choruses in his songwriting. 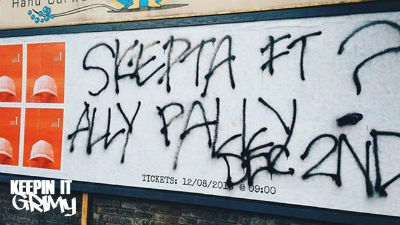 Skepta/Alexandra Palace (@YourAllyPally) – And Indeed It Was A Shutdown !!! So the week has already been a lil hectic; old skool rap legend Slick Rick and reformed RnB group D’Influence all providing great shows. It’s now the weekend and all roads lead to a scenic and historic London venue, Alexandra Palace, rapidly weaving through traffic the excitement and anticipation increases. A die hard fan of rap music for eons, and having worked in the industry and helped sign and promote artists music at record labels and radio station it’s a proud moment for the Tottenham MC, Skepta sell out a near 11,000 capacity venue in record time. The plight of my peers in the UK rap game has not been a smooth and easy one in comparison to other music genres. Grime, a uniquely British rap art form, is the contemporary evolvement of domestic rap culture. A diverse congregation of young, old, black, white and asian, with a high female constituency filled the auditorium of Alexandra Palace. Skepta and his Boy Better Know click were great ambassador’s for the scene and had the ‘mandem’ come through, from Giggs, Novelist, Section Boyz, Shorty BBK and many more. In a year when Canadian rap megastar Drake endorses Skepta and Crew, makes an impromptu appearance at a Section Boyz show after his Brit Awards performance and does collabs with RnB singer Kyla and south London MC Santan Dave; the future may be looking brighter for UK Grime/Rap.. The few vids here are just a snapshot of monumental performances throughout the night. The event was a huge success; being streamed worldwide and showcasing the stars of the UK Grime/Rap to a global platform. D’Influence – Couple Years L8r !!! The 90s were an eclectic time for a natural amalgamation of modern contemporary club sounds fused with the harmonies and retro feel of yesterday’s soul heroes and heroine’s. From a UK point of view that would have been Soul II Soul, Brand New Heavies, Massive Attack, Young Disciples, Omar, Jamiroquai, D Influence and many more. A time when multi genre black music venues were incorporating Hip Hop in their playlist mixed with dance music and classic retro soul funk, jazz and boogie. Circa late 80’s/90’s and DJ’s Eddie Piller and Giles Peterson formed a uniquely London ‘Acid Jazz’ music scene and record label encompassing audiences and fans exploring their love of this fusion of black and latin music. One on my 90s club residencies ‘Gon Clear’ was privileged enough to have D Influence perform at one of the club nights. The performances on the night kicked off punctually at 9pm (ish) to a very packed an intimate Jazz Café; many music journos and record company personnel being visible and present. Slick Rick – The Return To Blighty !!! It’s a Saturday evening in the big smoke and apart from waiting to peep the latest results in the English Premier Football League and an encapsulating last race in the Abhu Dhabi F1 World Champs..I’m gassed / excited, even anxious to go see Slick Rick in concert tonight in leafy Kentish Town. MC Ricky D, like sooo many of my Carribbean immigrant bredren’s have a similar story, parents / grandparent’s came to the UK / Canada or the States in search of a life with more oppurtunities. My early teens were immersed in all aspects of Hip Hop, witnessing breakdancing at the Olympics ceremony in LA and after spending the summer of 1984 in Toronto with my cousins I embraced the UK expat Slick Rick when he burst unto the music scene. Having worked in music for decades plus, I have been priviledged to see most of my fav rap artists but never Slick Rick, I was punctually early and caught the full line up of artists and festivities which heralded a plethora of quality UK acts. The famette Amy True, a gifted wordsmith and affiliated with Logic Army held court to a captive audience with live drummer. Durrty Goodz, Ransome Badbonez, Hijack, DJ Supreme and Billy Bizzniss all represented the UK to the fullest with their performances to an atmospheric an exuberant audience. The most popular UK support act on the night was definitely the don gargan Rodney P (London Possee). Joined on stage by the revered (DJ 279 pka Numbers). He duly ran through a selection of his profound catalogue spanning over two decades. The headline act and star of the show; truly entered centre stage to stupendous applause…joined for the full performance with the duo songstresses named ‘The Rickets’. With costume changes and a catalogue of hits from Mona Lisa, La Di Da Di, Children’s Stories, Hey Young World, Lick The Balls, The Show, etc the performance was truly memorable. NYC – Will Hip Hop Help with the new President Elect ? So after traversing the Atlantic for over two decades and been an ambassador for Hip Hop and Rap culture via numerous record companies and brands; I have been privy to witness the inauguration of the first Afro American president in 2008. Hussein Barack Obama was duly elected with a huge demographic.of youth voters. The modern world of social media heralded a new platform in the collating of information and penetrative direct advertising. From Jay Z, to Wyclef Jean, Killer Mike to Talib Kweli; a multitude of politically aware Hip Hop personnel giving Obama’s campaign momentum. It’s a warmish day in November and it’s British Airways touch down in JFK and its election week USA.. Stateside news and the weekly interaction with worldwide listeners via my Itch FM #BigPromoShow has kept me well informed as to the sentiment and mindset of many a Hip Hop loving US citizen. Of course I’m gna be doing a lil obligatory tourist ish in the big apple (just coz) but predominantly it’s sit downs with beat makers and record label personnel. On day one, my Canarsie producer Music 4 LIfe, scooped me from the hotel and we were rolling, it was road a trip to White Plains, South Bronx to link beatmaker Jack O Beats; who is currently working with the rekindled Ultramagnetic MCs. The Tuesday (day of election) was tense and expectant; even though there had been a positive endorsement for Hilary Clinton from many RnB/Hip Hop stars (Jay Z, Beyoncé) and many within the acting community (Robert De Niro), the realists and observers of UK’s recent Brexit were more wary. The honest front page headline of the very popular New York Post newspaper reflecting the true sentiments of the city and many more across the USA. I managed to get to a few vote spots and peep the sentiments and ethnic demographics of the voting populous. Peep the line downtown East Manhattan. Click the image below ! Election night was stuntin at the trendy meat packing district Apt 732 with the famette Tanya Brown, my longtime homie from the world of publishing A&R and management. The soiree, an intimate rendezvous hosted by Salt n Peppa, with lavish drinks; nibbles and ensuite Jacuzzi. The next gig on an ever eventful week was the turn of RnB New York raised singer Tweet; her singing and acting career spanning over a decade and having chart hit on both sides of the Atlantic made great preparation for two sold out gigs via the SoulGrooves famalam. The first being at the Jazz Café on a sold out Sunday night. The second and absolutely jaw dropping show was on the Monday night at Dingwall’s. A tight band accompanied by invited audience members to showcase their vocal ranges.. From her backing singers to the great lady Tweet herself; the show embraced aspects of a church service; it was truly mesmerising. Finally it was the turn of 90’s RnB star man Horace Brown; a stable mate of the legendary Detroit record label Motown and Uptown Records. Horace has toured the world extensively and has had a two decade run, having collaborated with many of the major stars across the pond (Jay Z, Faith Evans, Styles P, Foxy Brown, Black Rob) to name but a few. It’s a warm humid Wednesday evening outside the picturesque famous north London music venue, the Roundhouse.. One of the most famous music venues in NW1 and the annual home of the ITunes Festival..The throng of fashionably attired music fans gearing up for the evening’s celebrations. GRMDaily are one of the most popular and significant social media platforms reporting Urban Music culture and lifestyle in the UK; I met GRMDaily bossmen Posty and Pierre many years ago and was on a panel with Posty only last summer.. The show was hosted by Capital Xtra’s daytime DJ Manny Norte and BBC 1Xtra’s DJ Yasmin Evans to an electric atmosphere with every and anyone repping Grime and Hip Hop culture in the venue. 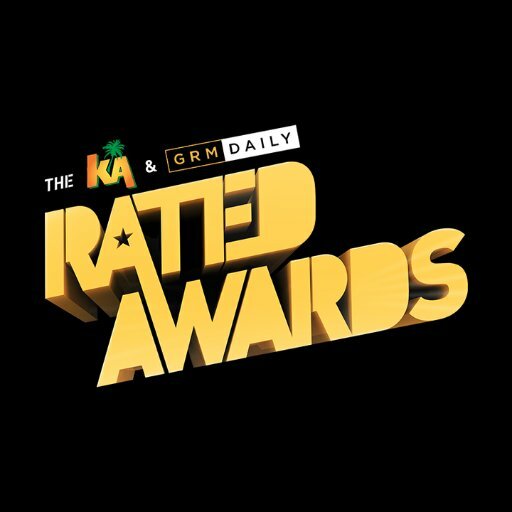 Skepta and BBK crew were in attendance and he was honoured with the prize for Best Video for ‘Man (Gang)‘ on the night, accepiting his award with a humble speech and showing love and unity for the whole UK Urban music scene. For a second year running, the best DJ category was won by BBC 1Xtra’s larger than life Hip Hop DJ Charlie Sloth. I’m proud to have known Sloth for many years and we’re both form the same part of London..and seen his meteoric rise from JumpOffTV comedy skits to arguably one of the most important DJ’s in UK music. His acceptance speech was also humbling and he dedicated the award to his radio predecessor and radio veteran Tim Westwood. With what appears to be a refound affinity with street UK urban music; world famous RnB star Craig David has had a great year, along the way collabing with many of the hot artists currently on the music scene. He ran through some of his classic material and was joined onstage by Big Narstie to rapturous applause. South London rapper, Giggs latest album ‘The Landlord’ has just debuted on the CIN UK Album charts at #2.. a huge achievement for an artist once signed to XL Recordings who’se album was released independently. He picked up the ‘Best Artist’ gong. A timely and well deserved ‘Legacy’ award went to the Hip Hop radio guru of the UK, Tim Westwood.. Having spanned over 3 decades of Hip Hop radio from 80’s pirate radio LWR, to Capital radio in the early nineties, two decades at the BBC and ironically now back on Capital XTra. His speech was met with much love and favour by an approving audience. A poignant chapter in the evening’s proceedings was a tribute by BBC 1Xtra and Atlantic Records A&R Twin B.. His business partner and friend, Richard Antwi passed away at the young age of just 38. Antwi was a music lawyer and an integral part of the fabric of the UK Urban music scene. from management, A&R to his legal practice. He has helped steer ang shape the careers on many household UK acts. The album of the year prize went to East London MC, Kano.. This year saw him release his new album ‘Made In The Manor’ resulting in top 10 chart position and a nomination for the ‘Mercury Music’ prize, Here he is on stage joined by Virgin/EMI producer ‘Naughty Boy’. The newcomer RnB artist Ray Blk had a very powerful performance of her current single ‘My Hood’ Feat Stormzy, which left the audience in complete awe. A well executed awards ceremony, it was a total success, highlighting the journeys and achievements of what is a predominantly an independent UK Urban music scene.. The flag bearer for many years has just been the MOBO Awards but you could pinch yourself for not realising this was only the 2nd Rated Awards show and long may it continue. I was privileged enough to be A&R manager at Primary Wave, one of the largest independent talent management, music publishing and marketing & branding companies in the United States. Founded in 2006, they create marketing and branding strategies through Music Publishing, Talent Management, Recorded Music, Television/Film Development, Brand Marketing and Digital Marketing. 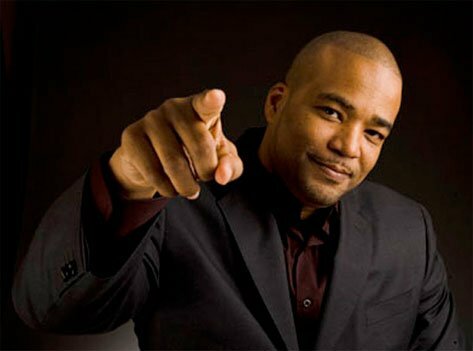 In 2011 Larry Mestel, head honcho at Primary Wave partnered with Chris Lighty and his company’s Violator rosta (the list of artists they had worked with in some capacity included CeeLo Green, 50 Cent, Cypress Hill, LL Cool J, Mobb Deep, A Tribe Called Quest, Eric Benét, Missy Elliott, Tank, Busta Rhymes, Ginuwine, Goodie Mob, Big Gipp, Eric Benet, Fat Joe, Nas, Mariah Carey to name a few). Primary Wave’s publishing repertoire included an interest in the Beatles songs written by John Lennon, the catalogs of Kurt Cobain/Nirvana, Steven Tyler/Aerosmith, Daryl Hall & John Oates, Chicago, Maurice White (Earth, Wind & Fire), Lamont Dozier, to name a few. Chris was synonymous with the evolution of Hip Hop’s organic roots to its modern engagement with corporate boardrooms and branding. Alas in August 2012, the world received the sad news that ‘Baby Chris’ had passed away. 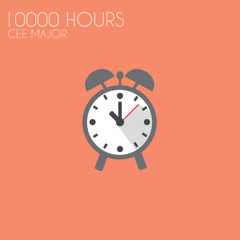 Cee Major is from the school of barring and he returns with “10,000 Hours” a free mixtape which shows huge progression both sonically and lyrically from his previous EP releases. The title of the mixtape is of course in reference to the theory that 10,000 hours of practice is the required time to become an “expert” in your chosen field. This unquestionably seems pertinent in Cee’s case. Having built a reputation for himself on the freestyle video circuit, as well as a battler in the UK battle rap league ‘Don’t Flop’ Cee solidified his name with his debut EP releases “Humble Beginnings” and “The Format” in 2014 and 2015. After a short hiatus to focus on university, “10,000 Hours” marks the return for the East Londoner. The “mixtape” contains 13 tracks, all original production, including 6 tracks produced by Cee himself. Cee co-produced 2 of the tracks with producer Phocus Beats, who also contributed 4 of the cuts. However Cee teamed up with producer; Infamous for the song ’27’ which was released on SBTV in July. Cee’s intensely harsh honesty within his lyrics, which are intelligently and seemingly effortlessly woven together, are what makes his music so refreshing in a scene becoming increasingly influenced by gang culture. In his opening track ‘No Feature Film’ Cee displays this social and cultural awareness in his lyrics. Not only does ‘10,000 Hours’ provide a reflective view of growing up in London and more generally in urban city life, but Cee delves into far more personal matters. It’s his self-awareness and analysis that results in an ultimately stripped down vulnerability which deeply resonates with the listener. In life, balance is important and musically too. Whilst we all enjoy going out and “turning up” – music, particularly rap music, has and always will be, vital in providing a voice for the unheard and providing a harsh reminder of the sometimes conveniently forgotten elements of society. Cee embodies this. The tape is a banger, referencing real talk life ish and coming up in the game as a younger !!!! 10,000 Hours will be available to download and stream from all major platforms worldwide on August 12th 2016. 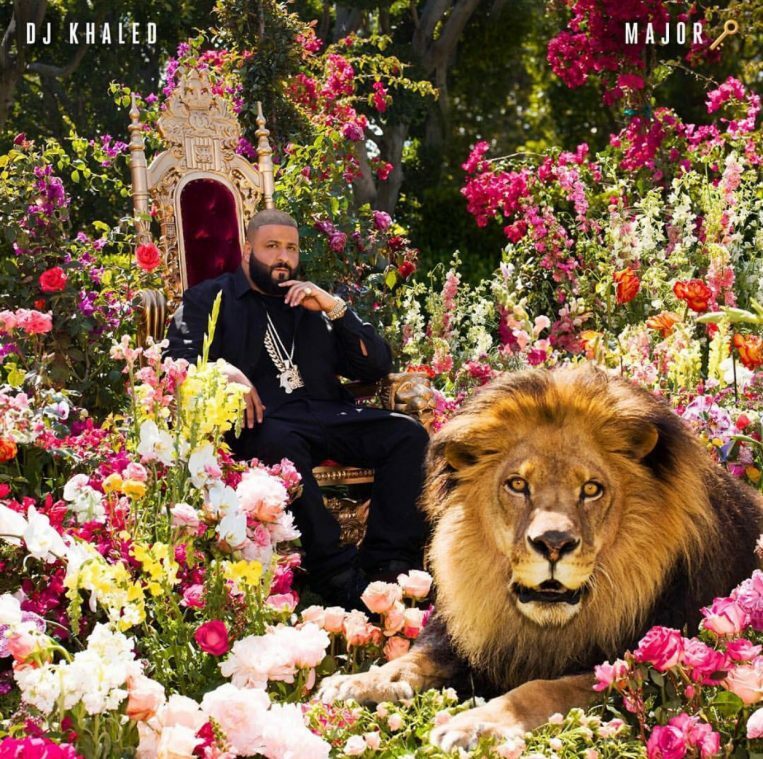 The homie DJ Khaled has now woven himself into the tapestry of contemporary Hip Hop, the Miami native has been releasing music for the best part of a decade. A multi faceted music pioneer, embracing production, social media guru and recording artist. DJ Khaled is a multi-platinum award winning recording artist whose music has defined Hip Hop and R&B for the past decade. Referred to in the music industry as the ‘Quincy Jones Of Hip Hop & R&B’, Khaled has made dozens of chart topping hit records featuring collaborations with the greatest names in rap music. His most recent (eighth) studio album, I Changed A Lot (October 2015), entered the Billboard Independent Albums chart at #1 and R&B chart at #2. His Snapchat account (@djkhaled305) has over 6+ million followers devoted to his inspirational quotes on achieving success in life. DJ Khaled released his debut, Listennn… The Album in 2006, coinciding with the launch of his independent label, We The Best. His inked his first major distribu­tion deal for We The Best with Def Jam in 2008, and continued to have very successful albums with 2010’s ‘All I Do Is Win’ followed by ‘I’m On One’ in 2011. The lead single from his new album is ‘We Got The Keys’ Feat Jay Z and Future ! it’s absolutely huge at urban and pop radio worldwide. Collab’s on the album include Nas, Big Sean, Nicki Minaj, Travis Scott, Drake, Kendrick Lemar and Movado to name but a few. This will surely be a huge international release for We The Best/ Black Butter / Sony Music.. I got ‘I Got The Keys’ / ‘Nas Album Done’ and ‘Holy Key’ on repeat !! To date, Khaled has sold over 15 million singles worldwide..